Last Friday morning I realized that I had not done a post for Three Things Thursday, the purpose of which is to “share three things from the previous week that made you smile or laugh or appreciate the awesome of your life.” I don’t know how I forgot to do it, since it’s one of the things I most look forward to in my week. We live within walking distance of the Point Defiance Zoo & Aquarium. All we have to do to get there is cross a road and walk a short path through the woods, and there we are, on the edge of the parking lot and about a block from the zoo entrance. Last Saturday was a beautiful day here in Tacoma, WA, USA, and so we took off for a visit to the zoo. We saw lots of interesting things there, both animals and plants, but what I’d like to show you this week is three interesting things I noticed while walking the path through the woods. I think these are sword ferns. 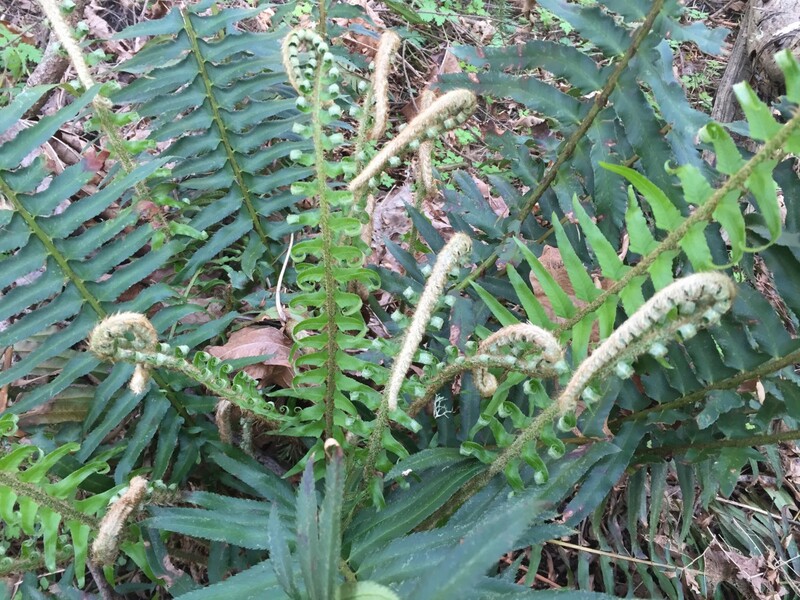 You can see why the new fronds growing out of the center of the plant are called fiddleheads. In the Stephen King novel The Girl Who Loved Tom Gordon, a young girl gets lost on the northern end of the Appalachian Trail and wanders through the forest for several days. One of the things she eats to survive is fiddleheads. But I don’t suggest that you go out and get some of these to boil up for dinner. Check with a local naturalist before consuming anything you find growing in the wild. Better still, just don’t eat anything you’re not absolutely sure about. The tree on the left, with the shaggy bark, is an evergreen, most likely a Douglas fir. It grows straight and tall, with spindly branches at the top that drape down. The tree on the right is a madrona—or, alternately, madrone—which often grows at an angle to reach any open space of sunlight beneath the evergreen canopy. Madronas are all angles and elbows as they send out lots of branches in search of sunlight. They are much shorter than their evergreen neighbors. 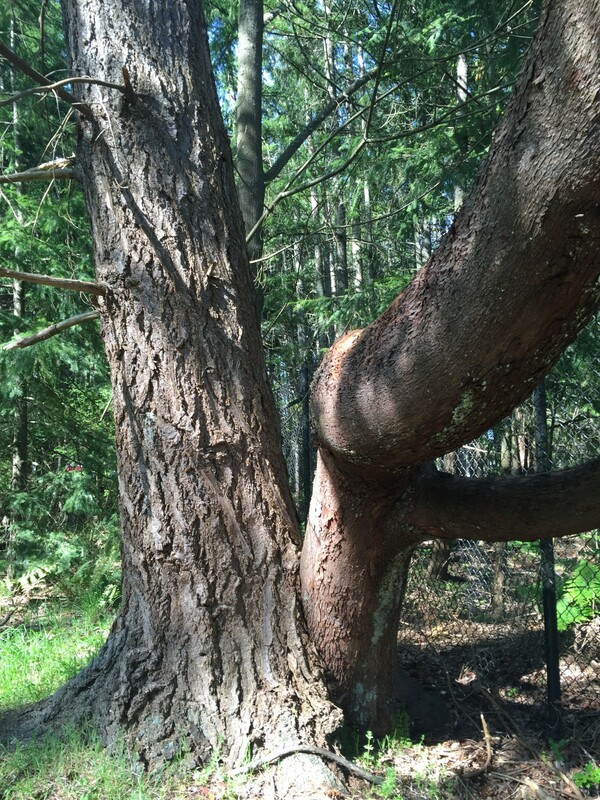 Perhaps these differences are what allowed these two trees to snuggle up so closely while growing. 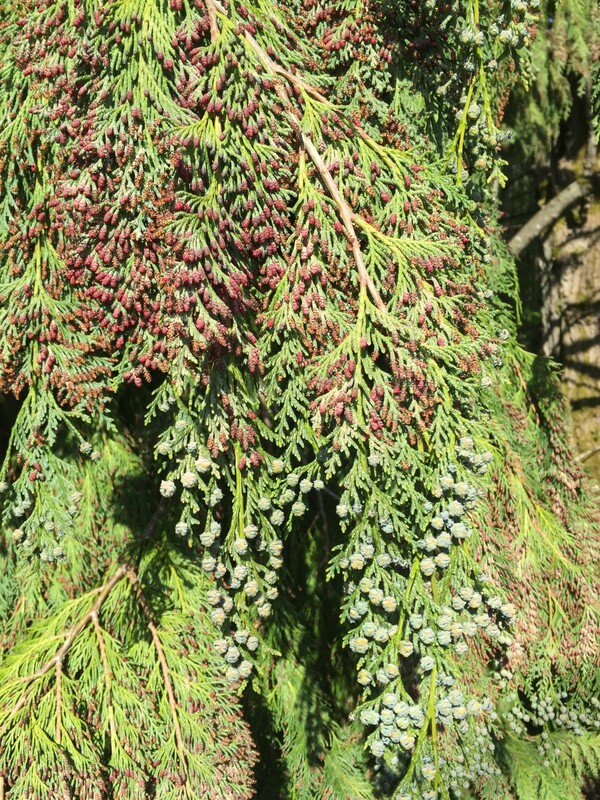 Douglas fir and madronas often grow near each other. 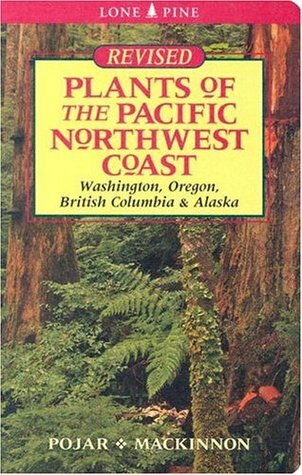 Madronas grow along a limited stretch of the Pacific coast, from northern Oregon up to southern British Columbia. They are easily recognizable by their brownish-red bark that peels off in thin sheets. Do you know what this tree is? I’m still trying to figure out what tree this is. I will have to go back and look at the bark more closely. When we touched the brownish areas on the leaves, a very fine brown dust wafted off. The bluish berries near the ends of the leaves resemble those of cedar trees. If you know what tree this is, please let me know in the comments. It grows in Point Defiance Park in Tacoma, WA, USA. Thanks! Your Three Things Thursday weekly challenge has caused me to pay closer attention to the world around me.